I have a confession. I’m in love. My new love is green, small and occasionally a bit spicy. 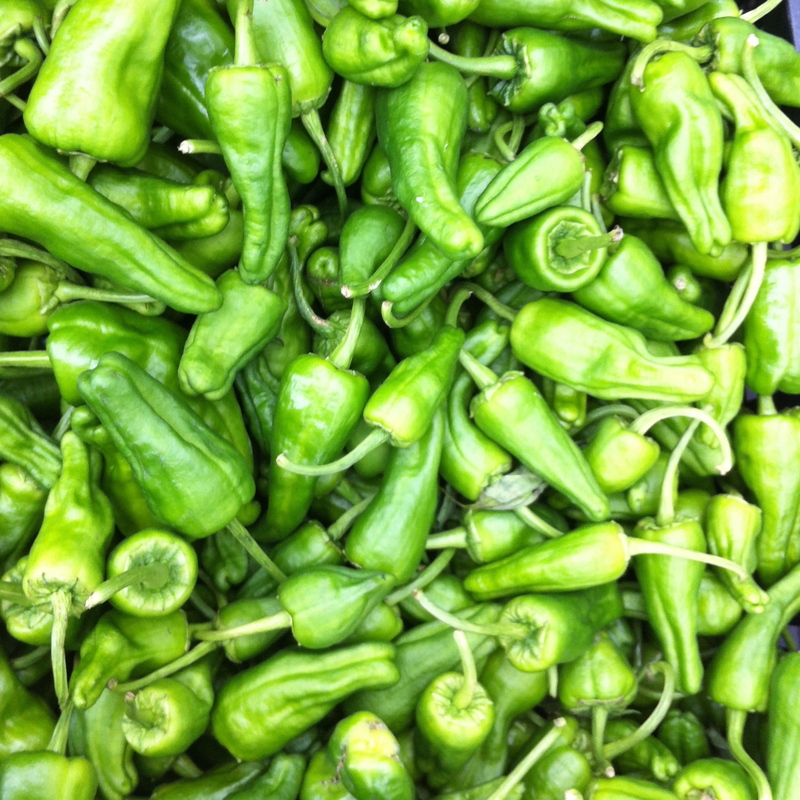 No, not a leprechaun, wrong season and country, but the padron pepper from Spain. It boggles my mind that not only have I never really eaten them before, but that I haven’t been growing them myself. Don’t worry, I’ve already made a note to plant some next year. Thankfully, this year, my local farmers market has had lots for me to try. And try them I have. At this point I can’t pretend I’m an expert cooking them. I’ve been going pretty simple. I’m sure I will branch out and start experimenting soon, but I’m not actually convinced I need to make them much fancier. They are small little bites of happiness. It is quite possible they are my new favourite snack. They are high in several vitamins, on their own have virtually no calories and are reputed to have several medicinal properties. How can you ask for more? Did I mention it takes about 3 minutes to prepare and cook them? 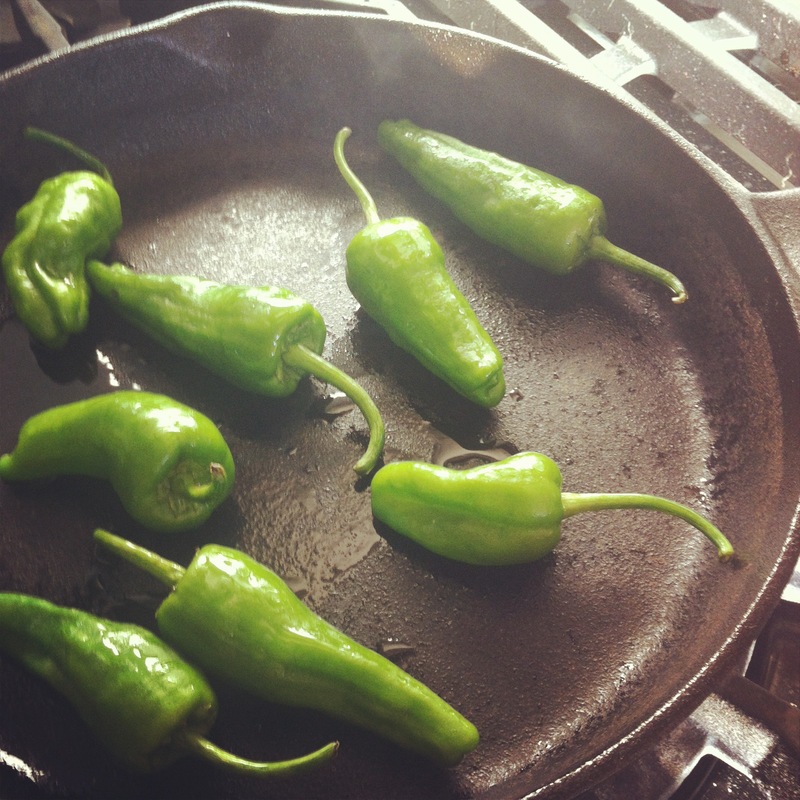 Simply heat a cast iron pan on the stove (the barbeque would work too), while it is getting hot lightly toss the peppers in olive or coconut oil and some fleur de sel or sea salt. Toss the peppers into the pan and cook until bubbled and brown. Remove from the heat, drizzle with a bit of lime juice or siracha and enjoy. Already a padron pepper expert? Please let me know how you cook yours! 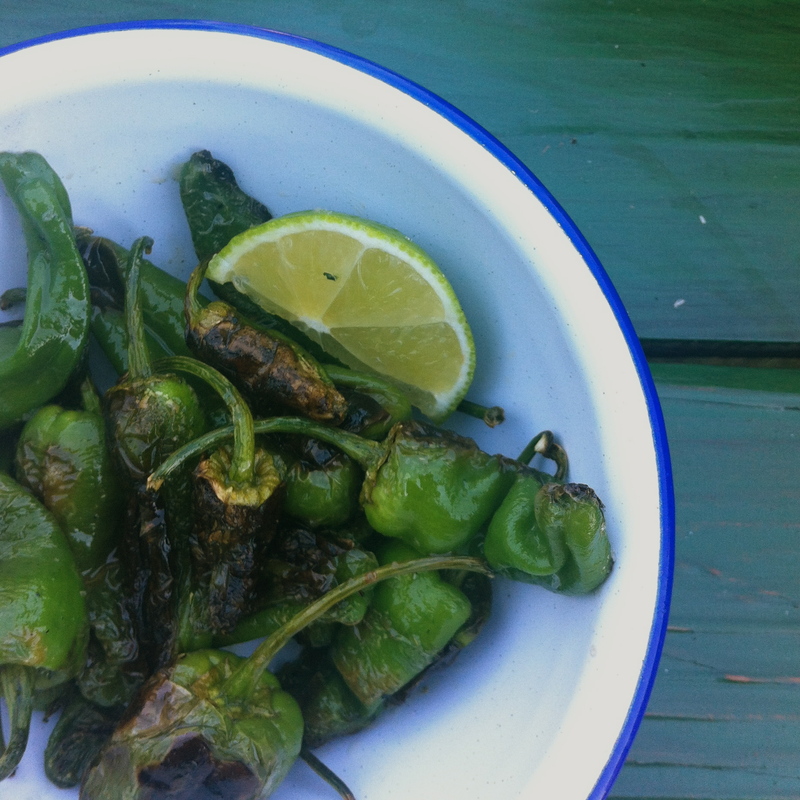 This entry was posted in Appetizer, Cooking, Food, Gardening, Recipe, Vegetables, Vegetarian and tagged barbeque, olive oil, padron pepper, peppers, salt by mostlynoodles. Bookmark the permalink. They are great! Apparently they are called the Russian Roulette of peppers – only about 1 in 10 is hot! I’ve only had a couple so far that were warm.